The value of big data cannot be underestimated; however, it is advisable to take a more realistic approach. 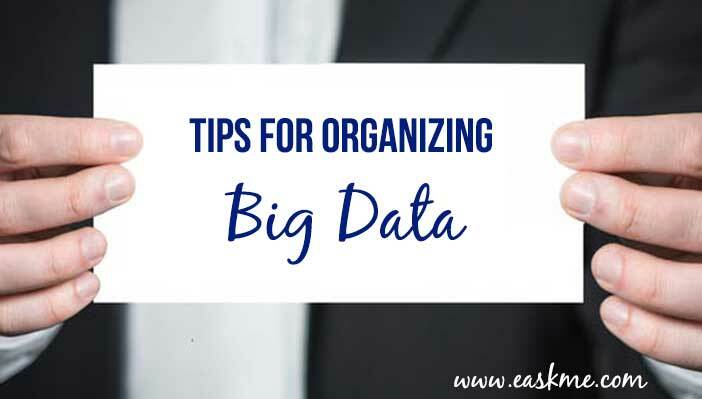 Failing to organize data well enough when adopting big data solutions is a recipe for failure. Most enterprises presently depend on data. Insights obtained from business data influence both the minor and major decisions implemented, which improve and optimize operation and performance. Surprisingly enough though is the fact that institutions looking to implement big data and retailers of the solution tend to undermine the necessity of preparing data. Too much focus is always paid to the hardware and software structures due to their complexities, which undermines the need to adjust data. Nevertheless, organizations may have adopted big data but are yet to notice any notable changes within the business. The underlying problem could be caused by lack of proper cleaning of the data for problem solving. Taking a look at the Active Wizards website, one can see that big data engineers can help develop a step by step approach to preparing data. Here are some steps on how to ensure your data is well modeled. Having a good idea of what is required for your company to make proper decisions is the first step. These policies will help you determine the data set needed to realize that decision, how the data will be transformed and conclusively the efficient and fitting analytical methods to give timely and useful outcomes. Defining the required outcome makes the procedure of cleaning data smoother and more manageable. Knowing in advance all the places to get the data required is not feasible. However, it is possible to identify the principal data sources that will be used. Apart from pinpointing the data type available, it will also help to choose the kind of data cleaning technique needed. When choosing a solution for your data cleaning needs, you should also ensure it will provide a solution to feeding the data to the present analytic tools within your enterprise. It is critical that the data preparation innovation develops a program that can be accessed by everybody in order to provide access to the prepared data. Through this, the analytical tools will produce decisions consistent across all departments based on the same data set. As discussed earlier, determining all the data needed to come up with the desired decisions is not possible. Extra data that may be necessary to decision making can be found with time. As an essential aspect of decision making, it is vital to keep evaluating new data. The market is currently filled with many tools ranging from simple analysis tools to state art of the art AI systems. Advanced AI tools can work with indigenous data while the simple tools will need extremely clean data to produce desired outcomes. Data is dynamic and keeps growing with time. Having a flexible data preparation technique is necessary to prepare new data found and make it accessible for use.